As far as manga creators go, Naoki Urasawa is one of the big guns with an endless list of successful titles. Some of my personal favorites include Master Keaton, 20th Century Boys, and Monster. His perspective is one that is diverse and unfathomably imaginative. So you can imagine my delight when I was extended an invitation to Japan House for the preview of their Urasawa exhibit. 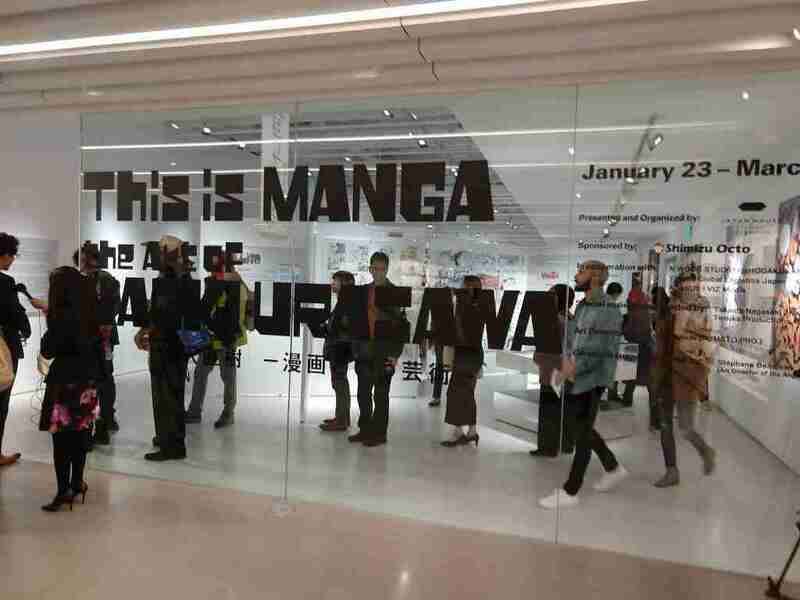 The show was This Is Manga: The Art of Naoki Urasawa. It was a gorgeous collection of raw art from the man himself. 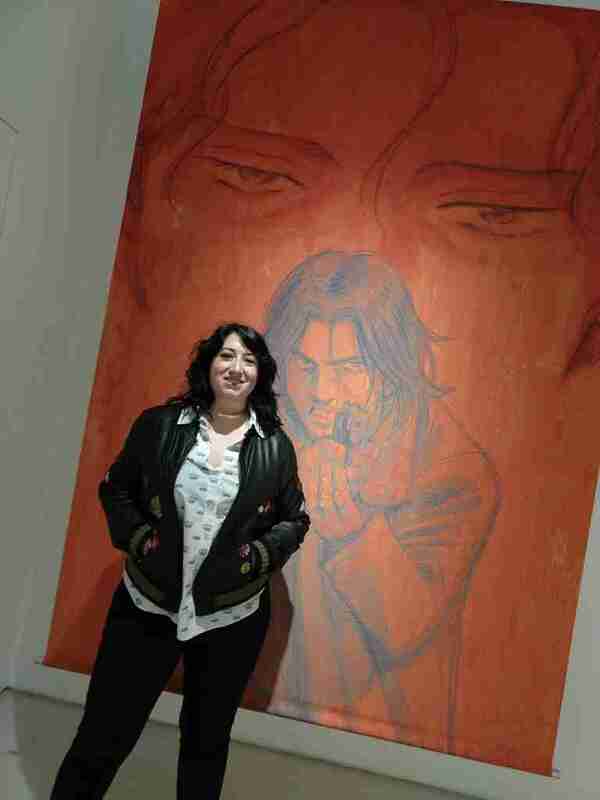 As a writer of comics I was overwhelmed as soon as I entered the exhibit. Countless pages, big beautiful murals, so many strong, mind bending titles. The majority of the material is black and white but there were ample pops of color. There was a lot of experimentation with how the work was presented. They played with size and shape and also utilized a myriad of mixed media elements. It was chaotic and yet felt very familiar. The flurried nature of the layout reminded me of what goes on in my own head. 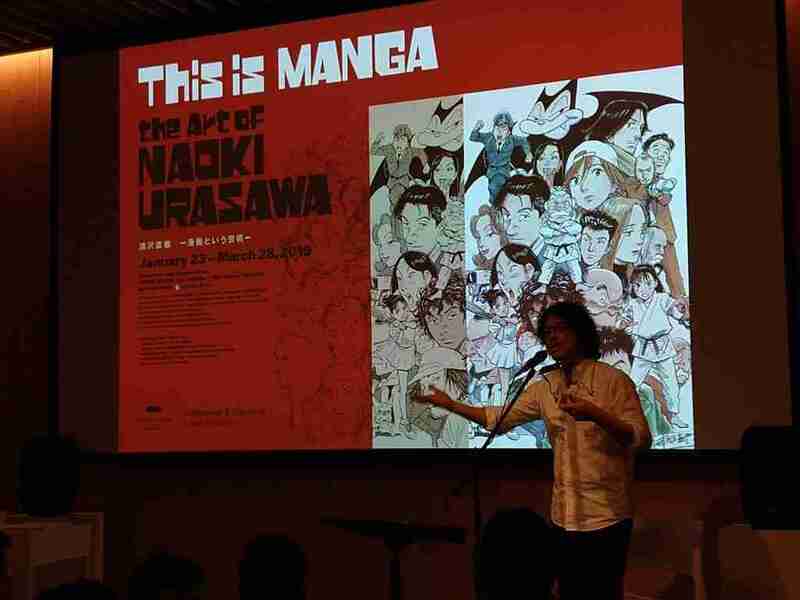 This preview did have Urasawa himself in attendance and he is his own exhibit. 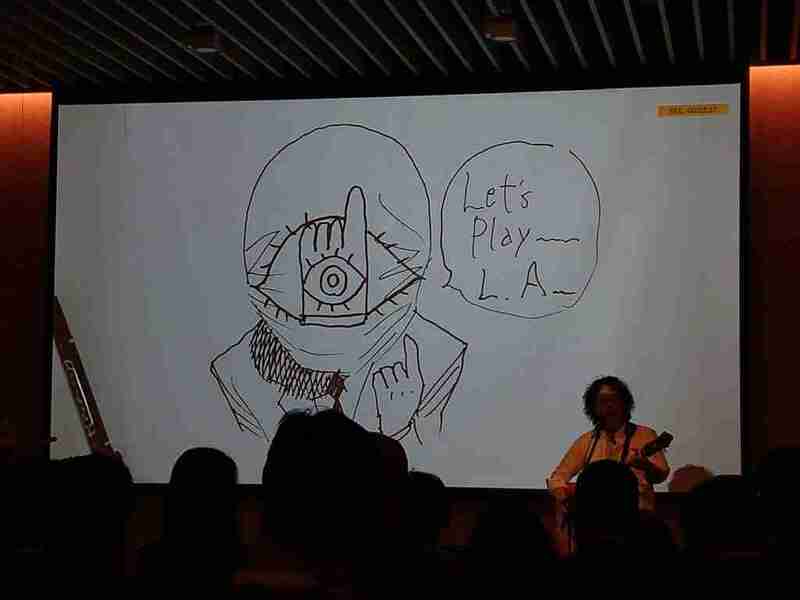 Urasawa is known for his love of music and his habit of putting on intimate performances with his guitar, harmonica and drawing skills. On this night I would be treated to a very special performance of music and live drawing. His set list included western rock classics and few Japanese folk songs. 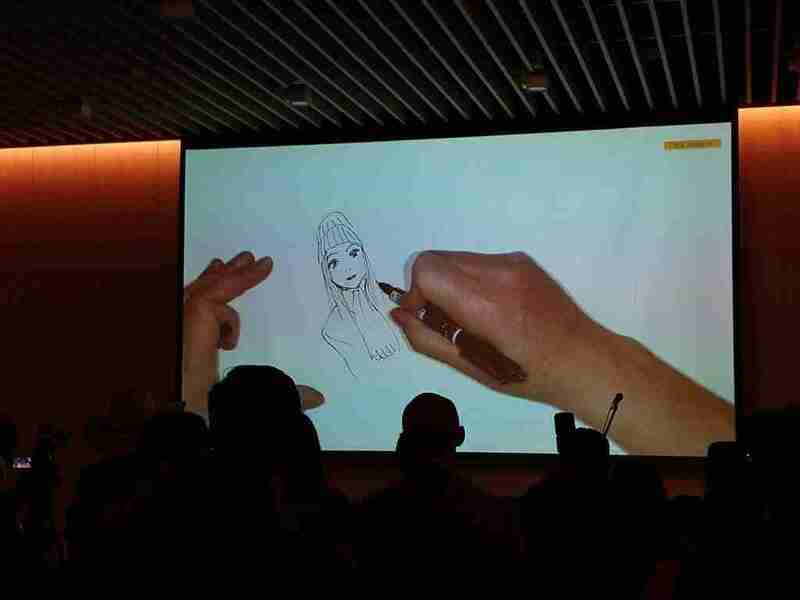 Urasawa is very generous with himself. He is not shy about trying to convey how his creative consciousness manifests. This was such an inspiring and special night. I would like to extend my thanks to Japan House for this invitation and congratulate them on such an incredible exhibit. If you’re able to attend, this exhibit will be up through March 28th, 2019. Find out more on the official Japan House site. 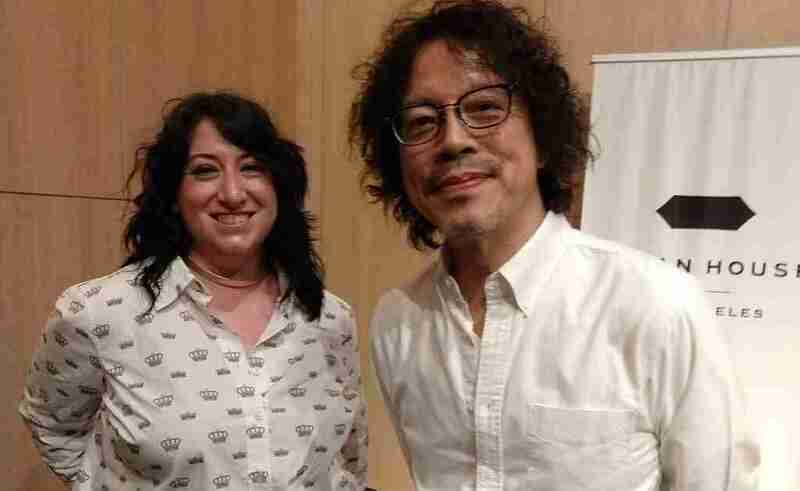 on Evening With Manga Rockstar Naoki Urasawa. I don’t know! That would be awesome!